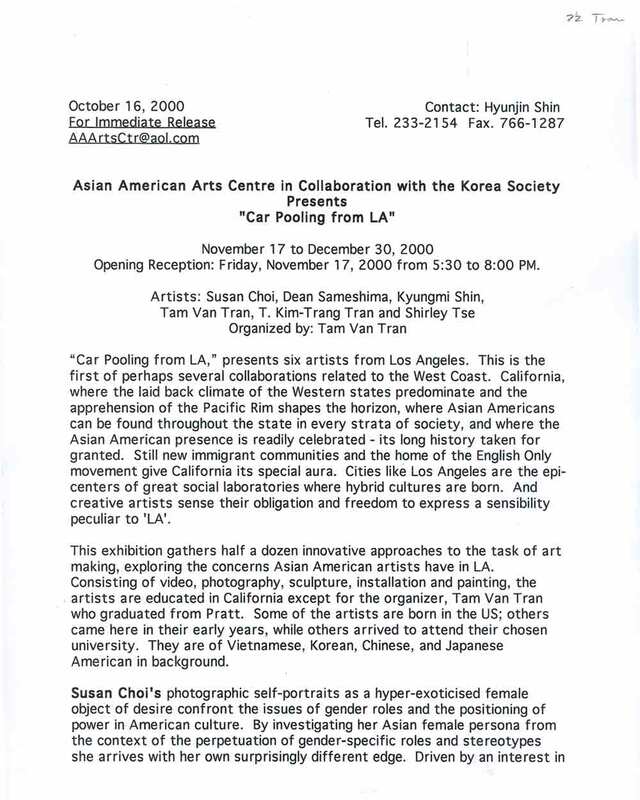 Exhibition press release for "Car Pooling from LA" at Asian American Arts Centre, New York City, from Nov 17-Dec 30, 2000, with artists Susan Choi, Dean Sameshima, T. Kim-Trang Tran, Tam Van Tran, and Shirley Tse. Organized by Tam Van Tran. 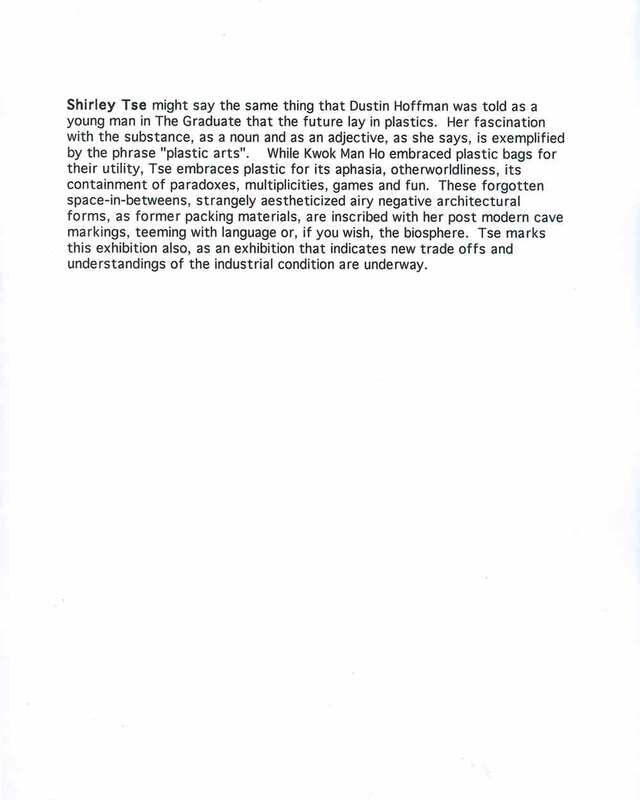 In collaboration with The Korea Society.